Toshiba has introduced a new Bluetooth 5.0 IC for automotive applications. 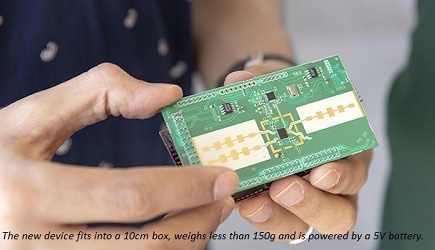 The TC35681IFTG has been developed to be used in demanding automotive environments, as it delivers a wide operating temperature range, high RF transmission power and high RF reception sensitivity (a link budget of 113dB @125kbps at long range transmission). 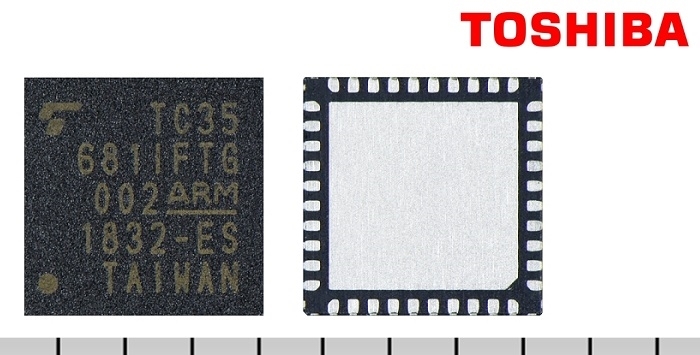 The mixed-signal TC35681IFTG contains both analog RF and baseband digital parts to provide a complete solution on a single chip. In addition to the basic functions of Host Controller Interface (HCI) profile and GATT profile functions, TC35681IFTG adds the new functions defined by Bluetooth core specification 5.0, including 2 Mbps throughput, Long Range and Advertising Extension functions, stored in internal mask ROM. It also integrates a high gain power amplifier and realizes +8 dBm for long distance communication. When used in conjunction with an external non-volatile memory, the new IC becomes a fully-fledged application processor that temporarily loads applications and stores in internal RAM (76KB). It can also be combined with an external host processor. As it is designed to be compliant with AEC-Q100, the low energy IC is primarily intended to be used in automotive applications. The wettable flank package simplifies automatic visual inspection needed to deliver the high levels of soldering quality required to withstand the vibration experienced in automotive applications. Current applications include Remote Keyless Entry, On-Board Diagnostics to collect sensor data, Tire Pressure Monitoring Systems, and other contributors to improved vehicle comfort and safety. Click here to learn more about the TC35681IFTG.